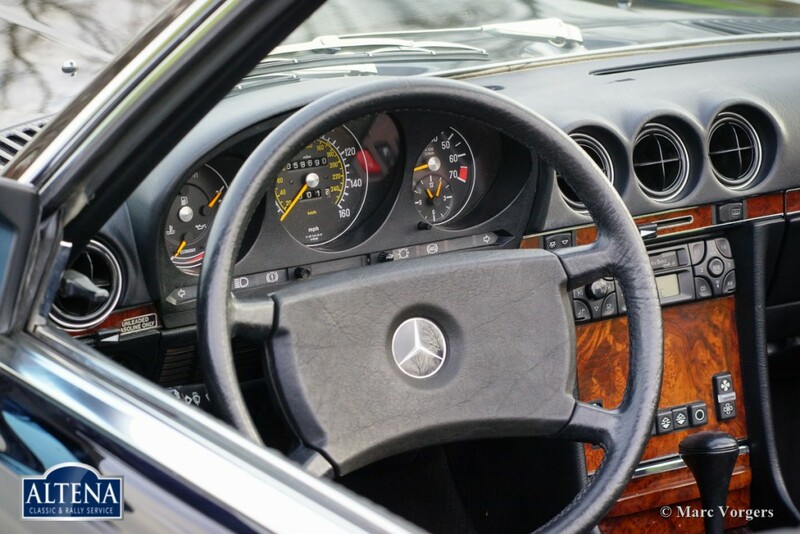 Top-speed:128 mph. - 205 km/h. 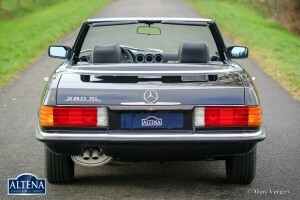 Mercedes-Benz 280 SL (type R107), year 1985. 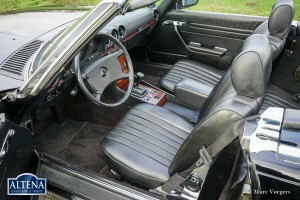 Colour black with a black leather interior. Black soft-top. Chassis number WDB1070421A02837128XXX. 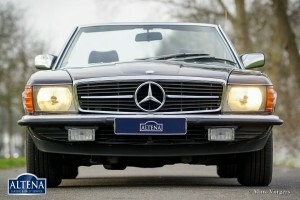 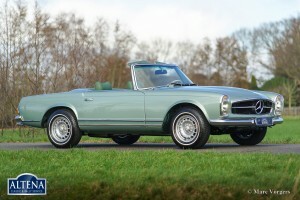 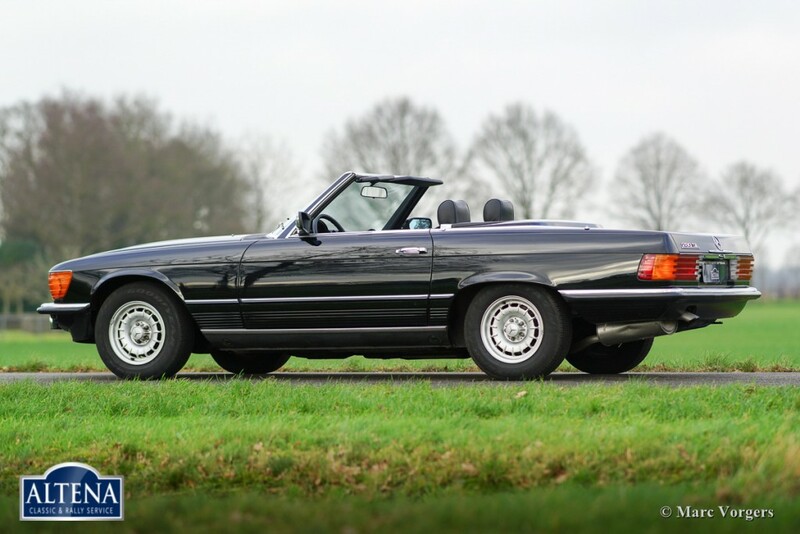 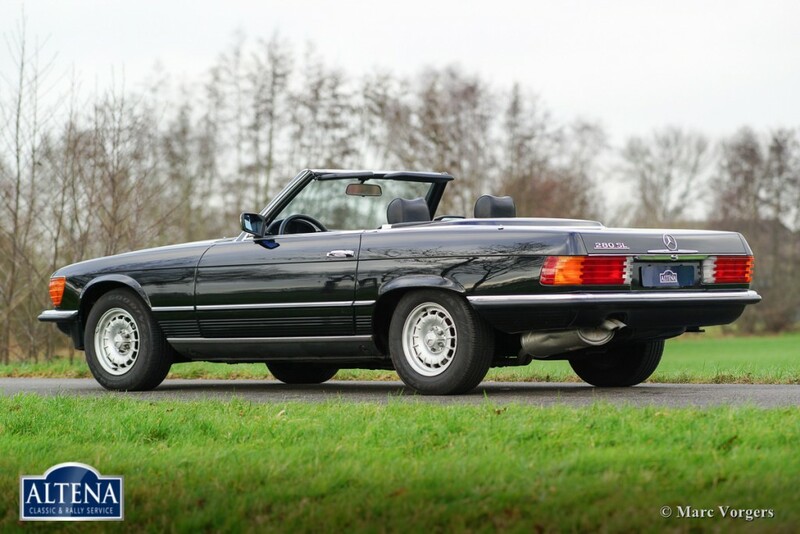 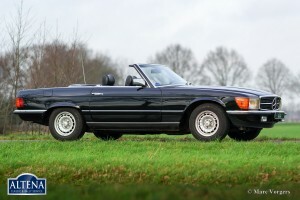 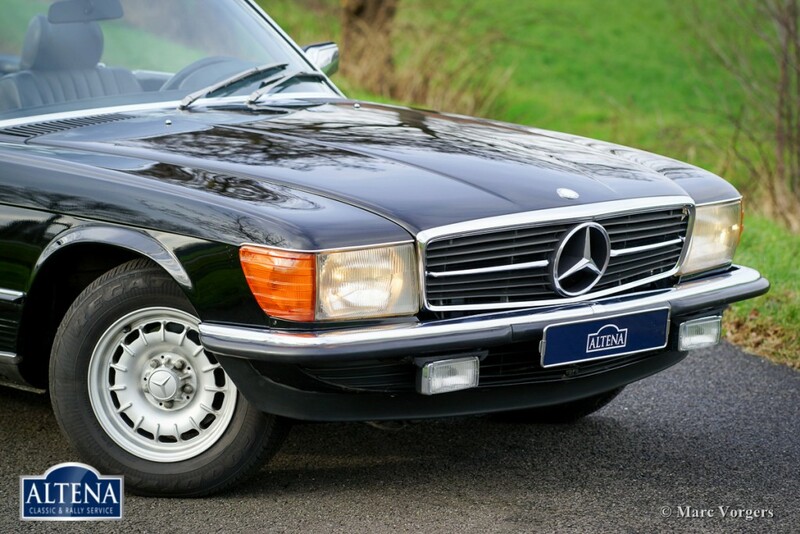 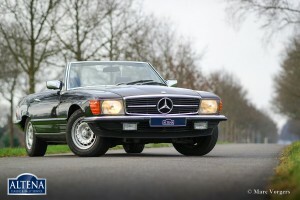 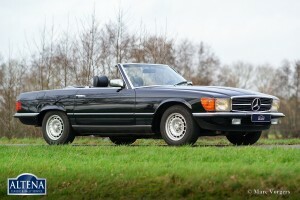 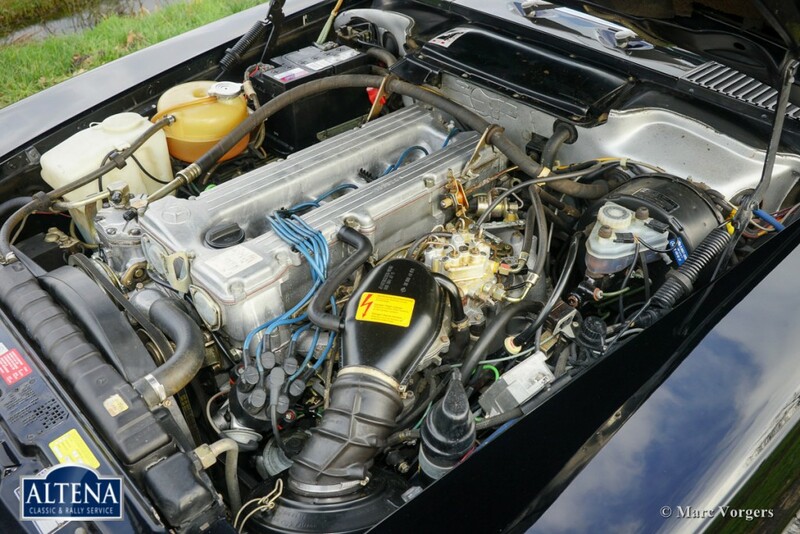 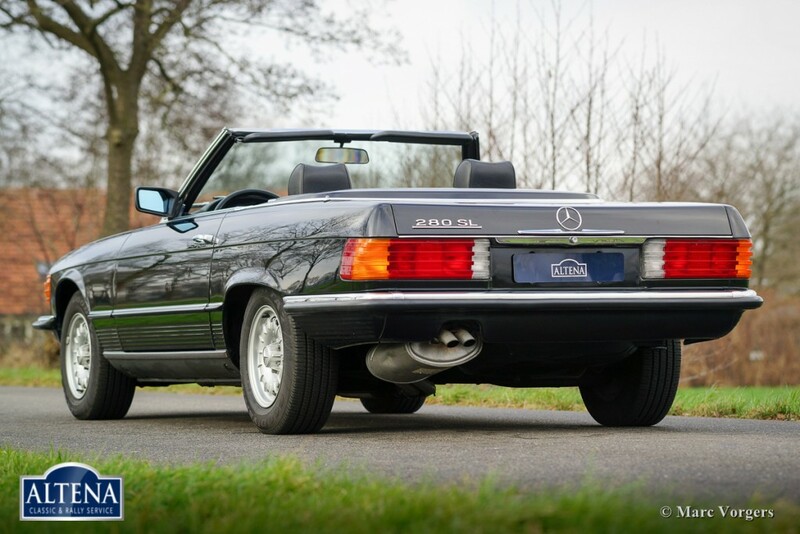 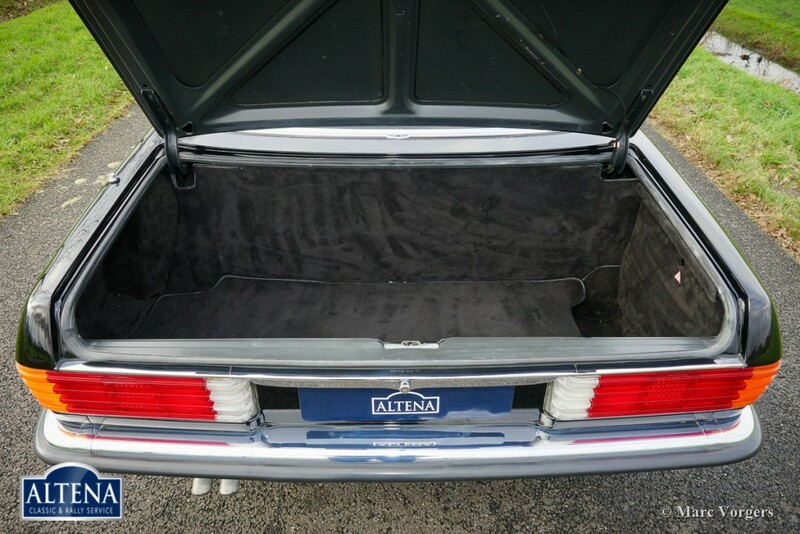 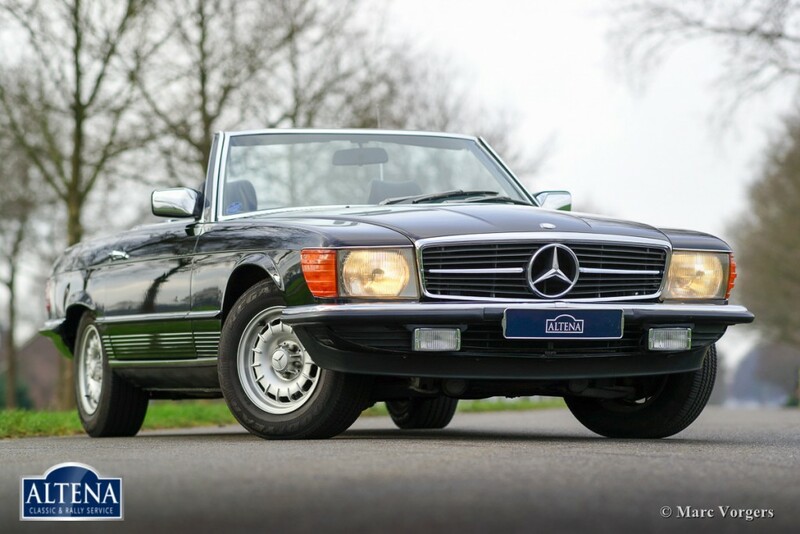 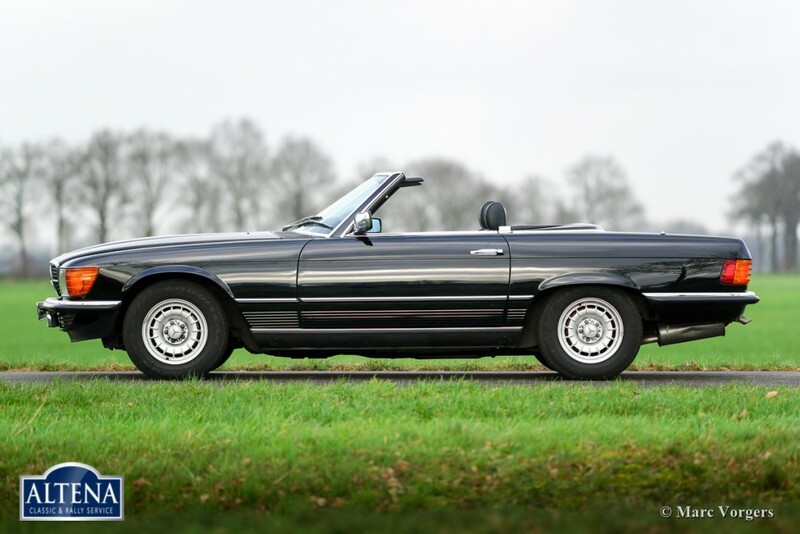 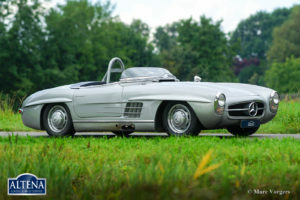 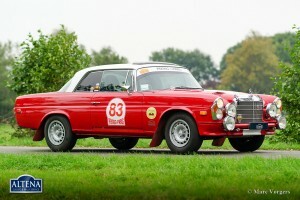 This gorgeous Mercedes 280 SL is in superb original condition! From new the car has driven 58.688 miles. 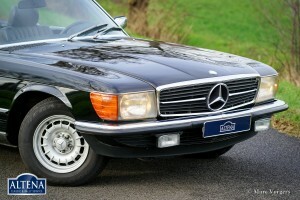 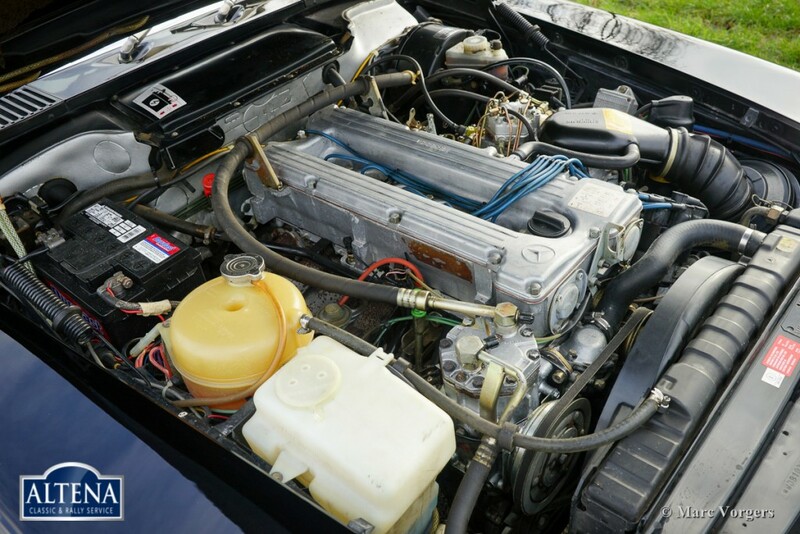 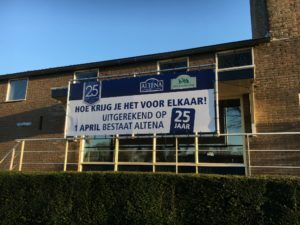 In 1985 the car was purchased from the factory in Stuttgart. 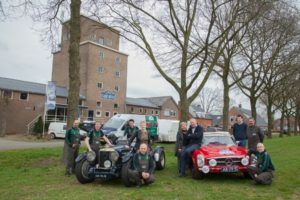 From there the car was driven, with a day-registration plate which is still present, to the harbour of Bremen to be shipped to the USA. 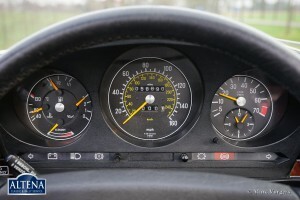 To be approved for road use in the USA the KM odometer was replaced by one reading in miles. 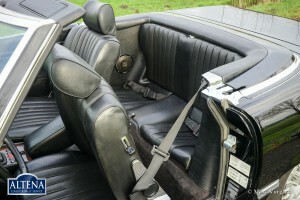 The original instrument read 1020 KM at that moment. 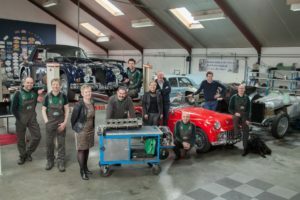 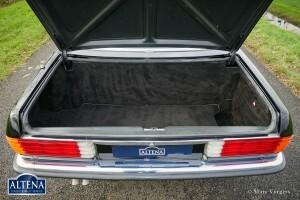 The approval was carried out by Elite Auto conversions. 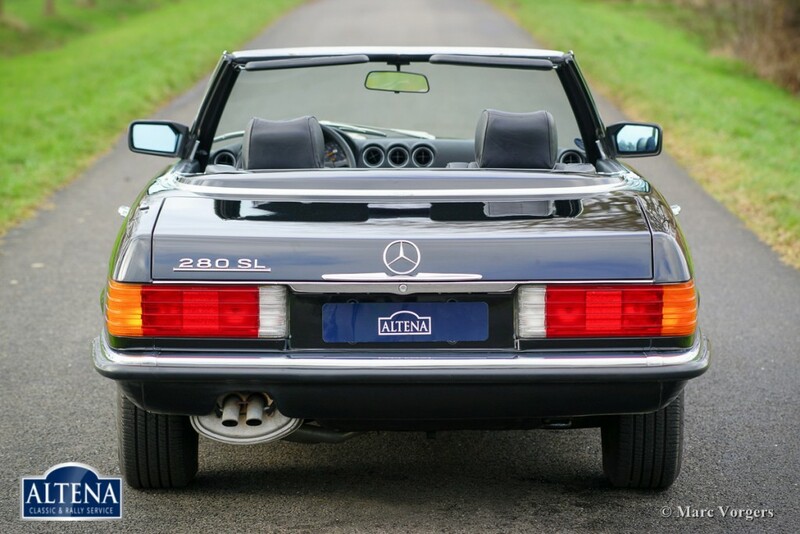 From the year 1992 the car has been cherished in a car collection in Minnesota. 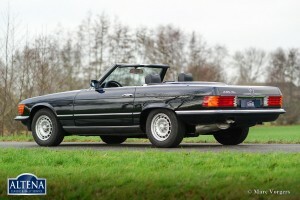 The car has known two owners from new and is now available for sale in our showroom. A perfectly original example!